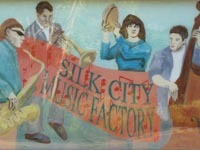 Silk City was designed to be the quintessential project recording studio. We built a work space where you can feel comfortable and creative, and we equipped it with enough technology and know-how to ensure that you can remain comfortable and creative throughout the entire recording process. 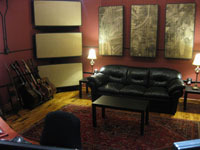 Our recording studio is located in Manchester CT, just minutes from Hartford and convenient to all of central Connecticut. 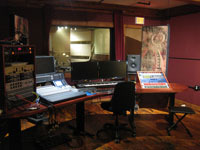 We offer recording, mixing, mastering, editing, arranging, and media preparation for physical or internet distribution. All styles and genres are welcome and we also offer original music and audio production for film, television, and radio advertising. 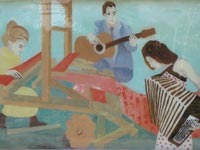 If you are a songwriter looking to create professional recordings of your songs, we can provide the arrangements, musicians, and full recording services to develop your songs to the level of a commercial release. If you have a band, we can record your music in our studio from the first drum track to completed radio quality masters. We also provide remote live multitrack recordings, so we can record your big show live and then do a quality mixdown back at the studio for your next live release. Our partner live sound company MJG Audio offers live sound reinforcement and production for any size event, so we can even provide you with your live sound engineer, sound, and lights for the next big show. If you are a rapper we can record you over your industry beats and create top quality mix tapes, or we can work with your original beats and/or provide original beats for your next commercial release. We can record, edit, and prepare your audio book or audio lecture for distribution. Please take some time to listen to the samples of our work, and get to know our staff and our music recording studio facility. We are proud of our recording studio and of the work we do here, and we look forward to working with you to make your next project the best yet.